I haven’t covered many skier discount cards this year. Frankly, there’s just too many — almost every ski area has one by now. That doesn’t mean that they aren’t a good value. Here’s one from Sutton in Quebec which saves you 10%-40% at Sutton, Owl’s Head, and Burke in Vermont. The part that caught my eye was the Carte Blanche card is free which is the price that always makes me happy. Using the card gets you a greater discount on each visit until your fifth, at which point you’ll get a free ticket. As always, read through the fine print here. The first time you use your card at one of the participating ski stations, you will receive a 10% discount off the regular price Adult and Student full day lift ticket and the rebates get bigger every time you use the card, up to a 40% discount! 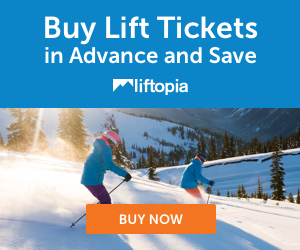 Every fifth visit we will give you a FREE full day lift ticket at the mountain of your choice.